A group of shirtless men standing with one man squatting in the foreground. An older man holding a microphone up to another man's mouth who is wearing a white tank top. A man wearing a white tank top and jeans standing next to what appears to be a drink bar. A group of men both sitting and standing watching an event, including a large man wearing a tank top and holding a pen and pad of paper sitting next to a smaller man wearing a tank top. 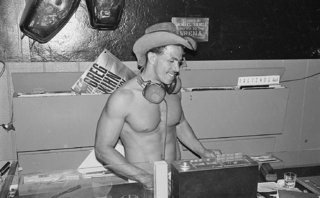 A shirtless disc jockey wearing a hat and headphones around his neck. 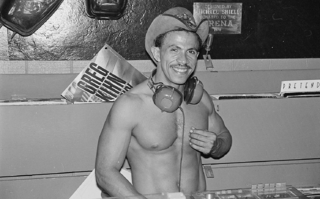 A shirtless disk jockey wearing a hat and headphones around his neck with his left hand placed on his upper chest. 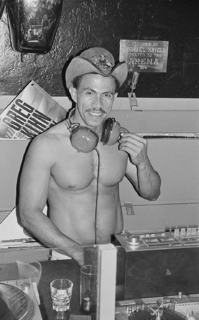 A shirtless disk jockey wearing a hat and headphones around his neck with his left hand placed on his lower stomach. A shirtless man wearing pants and a belt standing with an American flag in the background. 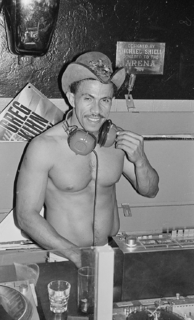 A shirtless man standing with his right arm raised above his head. 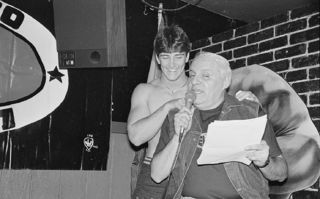 An older man sitting and holding a microphone and pieces of paper with a shirtless man standing behind him with his hands placed on his shoulders. 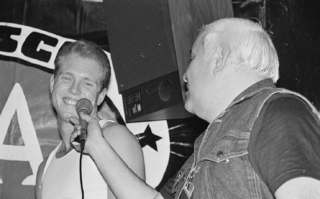 An older man sitting holding a microphone and pieces of paper interacting with a shirtless man standing to his right. A shirtless man wearing pants and a belt standing next to a window with his arms folded. A shirtless man standing and looking towards the ground. 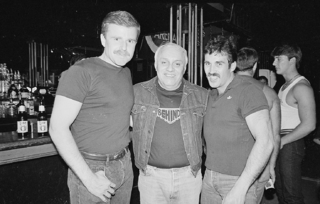 Three men standing next to a drink bar with their arms around each other, two of which have mustaches and the man in the middle is wearing a jean vest. Two shirtless men wearing pants standing next to each other. 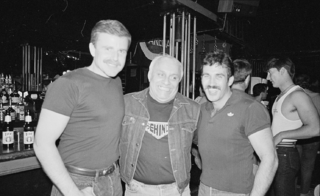 These collections are a part of the Dr. John P. De Cecco Archives and Special Collections of the GLBT Historical Society in San Francisco, California. 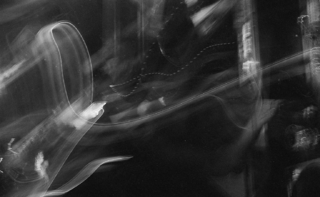 For questions about the collections or the GLBT Historical Society, email reference@glbthistory.org, call 415-777-5455 x3, or visit www.glbthistory.org.